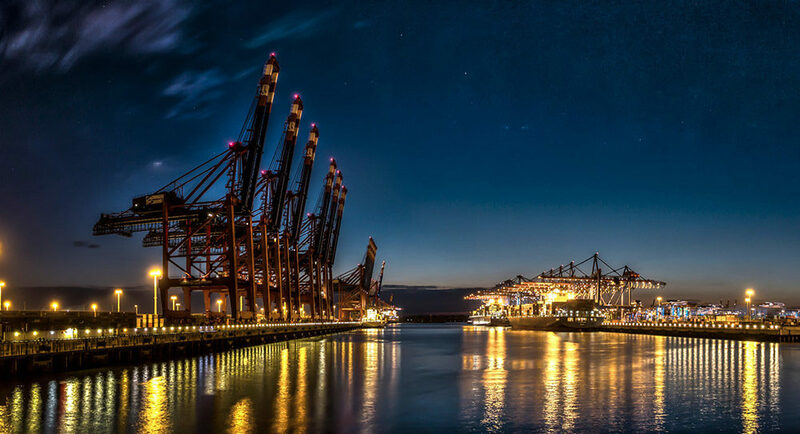 The storm damage that the port of Durban suffered in October last year, along with mounting inefficiencies at all South African ports, has resulted in even longer shipping lead times than previously. Several shipping companies are now avoiding Durban where possible, travelling instead from Cape Town and Port Elizabeth via Jebel Ali, in Dubai, to regions including East Africa. While this constitutes a long detour it could nevertheless result in shorter delays, and more reliable lead times, than the more direct routes. These are some of the insights from our Chief Operations Officer Thinus Ferreira, who advises importers and exporters to keep even more buffer stock than in the past, plan even further ahead to ensure that their operations can keep running, and communicate with their suppliers, including Dolphin Bay, well ahead of time. The storms damaged several cranes at the port of Durban. Specialists from Germany have been flown in to fix them, a process that should be finished at the end of this month. This should alleviate the congestion to some degree, but inefficiencies are known to be mounting at all South African ports. A recent news report stated that Durban had several thousand containers awaiting shipment, a large proportion of them not yet assigned to a firm loading schedule. Ideally one should be planning for a worst case scenario instead of the normal eight-week lead time. The delays are placing such pressure on shipping lines that some are offloading their cargo at a port without loading before moving on to their next destination, Thinus says. This cargo must then wait for another vessel, exacerbating delays. Many shipping companies are now using much bigger vessels, to carry more cargo, and sailing via Jebel Ali, an extremely efficient port. The detour adds about 10 days to the trip but can save time, such are the inefficiencies at Durban in particular. Durban is the busiest port in South Africa as all cargo destined for Gauteng passes through it. Some commentators insist it needs to be expanded, while other say that ports in other countries of a similar size cope with a far larger volume of containers. “Something has to change,” Thinus says. “However, it is up to Transnet to take action. The repairs at Durban will help to some degree, but the inefficiencies will remain a problem. News reports have stated that the knock-on effect caused by the damage in Durban has resulted in ships waiting up to 10 days to enter Cape Town harbour, as docking schedules are missed and need to be reorganised. Dolphin Bay is committed to serving our industry, in order to ensure the growth of your business and ours. We are industry experts, constantly monitoring national and international markets for new trends and developments.